Bridal Barrette Silver Pearl & Rhinestone Lovely For Bride. 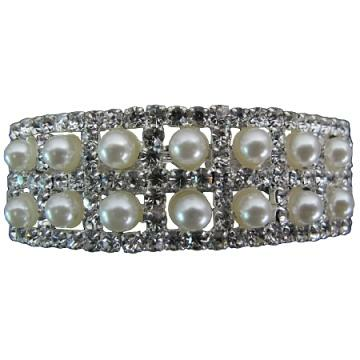 Brilliant clear rhinestone decorated around the pearls will really add some shine & elegance to your hair. Designer quality at reasonable price. Buy Bridal Barrette Silver Pearls & Rhinestone Lovely For Bride, sold & shipped by Fashion Jewelry For Everyone where you can shop online for Leading Online Retailer for Indian Fashion Jewelry. 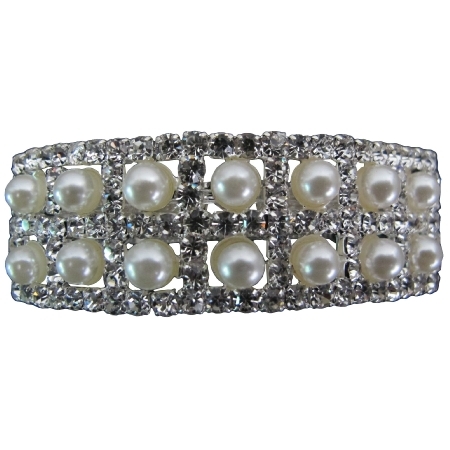 This Brooch, Pins & Bands collection has been tagged as Rhinestone Barrette,Barrette for Bride,Pearls Rhinestone Barrette,Bridal Barrette,Silver Pearls,Bridal,Barrette,Silver,Pearl hair clip.